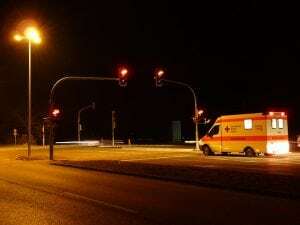 Andover, NY (April 12, 2019) – According to authorities, police responded to the scene of a motor vehicle accident that resulted in injuries along State Highway 417 on Wednesday night, April 10th. The accident was reported to have happened at approximately 8:15 p.m. at the intersection with Indian Creek Road for reasons that have not been confirmed. Police were dispatched to the crash site along with emergency medical crews to evaluate the accident and render aid to any victims. Paramedics were able to confirm that 20-year-old Kylen M. Zengerle, of Andover, who had been the driver of one vehicle involved, suffered at least minor injuries. At this time, authorities have not verified the severity of Zengerle’s injuries or stated whether anyone else was in that vehicle. Police are actively investigating the cause of this accident as no further details have been provided. Before going any further, we would first and foremost like to offer our sincere sympathies to the victim of this accident, as we currently preserve hope for her full recovery. Following a car accident in New York, it is terribly essential to understand that, as the victim, you may have substantial rights in the event that your injuries were caused by a negligent party or other entity such as a manufacturer. At Hach & Rose, our New York accident attorneys have devoted their lives to helping victims as we hold negligent parties liable for the pain that they inflict. We recognize the immense physical, emotional, and financial burdens that commonly arise in the aftermath of a sudden accident, and we are here for you 24/7. If you have suffered an injury in a motor vehicle crash due to the reckless or criminal actions of another party or entity, please do not hesitate to call 212-779-0057 today.